In today’s competitive online market, search engine optimisation (SEO) is more important than ever. However, finding your way to a reputable agency is nowhere near as straightforward as choosing the cheapest provider. You have to ask the right questions to find the right agency. This is an open-ended question, which works to your advantage. There are several ways to approach SEO in Sydney or Auckland, and the technical aspects of on-page optimisation, link-building, etc. are only one facet of this. There’s also a strong user-experience factor to consider. The best SEO agencies approach their industry as both a science and an art, and they’ll be eager to explain this to you in the pitch. Give them a chance to explain how they approach their craft in an open-ended way, and you’ll end up learning a lot about how they operate. What’s your niche client sector? There’s no such thing as a one-size fits all SEO strategy, and the best agencies know that their experience leaves them better equipped to work with specific client niches. Whilst not a bottom-line requirement, it never hurts to partner with an agency that has experience delivering results to clients in your specific sector. We’ve already touched on the part-art/part-science nature of SEO in Australia and New Zealand – or anywhere in the world, for that matter. There’s just enough mystery underpinning the work of a talented SEO specialist – to the extent that the price range is broad, to say the least. The services of a true SEO guru are worth more, but this doesn’t mean that high prices are synonymous with quality service. At the same, there are plenty of fly-by-night operators out there under-cutting the competition and delivering dismal results. Ideally, your agency should be able to justify their rate in terms of the number of hours they’re spending on your account. If the answer to this question is anything less than clear, move on to the next agency. Even if they don’t have a particular person assigned to your account at this point, you need the assurance that one person is going to be working on your account for its duration. This person’s job is to understand your needs and expectations, internalise your brand and communicate that with their own team. It’s impossible to overemphasise how important it is that you have a point of contact you can refer to and rely upon for prompt service and clear answers. Opposite this, it’s also important to understand the limitations of a freelance SEO specialist. If there is one person – and one person only – who is responsible for your work, then you’re automatically vulnerable. What will you do when they fall ill or get behind on work? What you need is an agency with ample staff, a point of contact assigned to you and fall-back protocol in the event that someone you’re used to talking to is ill or out of the office. 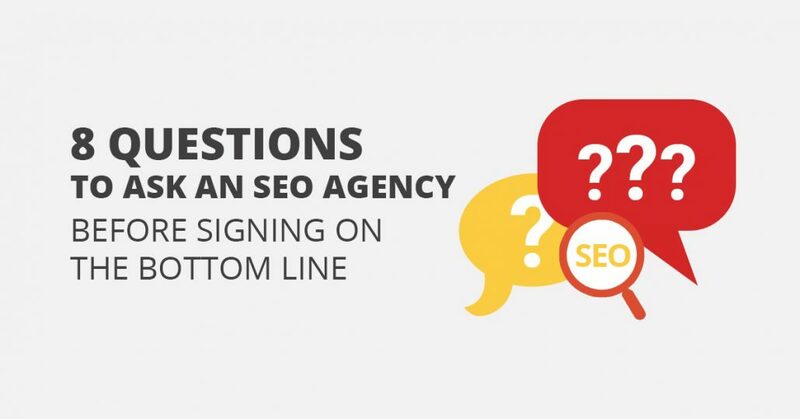 To be honest, this is a dreaded question for people or companies who offer SEO in Australia – if only because it usually means that the client isn’t ready to accept the fact that optimisation takes time and sometimes delivers unexpected results. You should ask it anyway. There’s nothing wrong with making your agent squirm a little. Good SEO takes time to develop, and results emerge gradually over time. All the same, an experienced provider can give you a provisional timeline. They’ve gone through this process enough times (and with organisations like yours), to the extent that they know what to expect. What types of guarantees do you offer? While we’re on the topic of provisional timelines, we should also touch upon guarantees. The hard reality is that there are no absolute guarantees in search engine optimisation. But prior experience and an in-depth understanding of the industry means that the best agencies are able to articulate what they can accomplish for you in precise, quantifiable terms. Any agency offering guarantees in terms of rankings is lying – either to you or to themselves. But they should be able to offer assurances over a period of time. 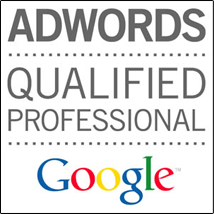 This comes down to upward trends, improved performance for specific keywords, etc. Ask what they’re prepared to guarantee and see where they go with it. Now that we’re talking about assurances over time, let’s touch on how to measure success. The answer should go beyond ranking for a particular set of keywords – even if those keywords are highly relevant to your industry. What you are looking for in this case is a way of approaching and breaking down the phenomenon of seeing more traffic being driven to your site. Once you are ranking for your target keywords, are you going to see more conversions and a reasonable bounce rate? Let them tell you how they evaluate the success of their work, and you’ll learn a lot about them in the process. What can I expect in terms of reporting? Reporting is a slippery slope, as some agencies will simply show you that you’re now on the first page for specific search terms and expect that to satisfy you. Look for agencies that offer in-depth, ongoing reports detailing what they’ve spent their time doing, how it has affected the state of your overall campaign and what they plan to do going forward. Good reporting conveys a mix of billable hours, achieved results and ongoing drive. Beware of agencies that suggest all you have to do is call them for an update, without them being expected to provide you with detailed, on-time reports on their own. With a bit of vetting and the willingness to ask the right questions, you’ll find an SEO partner that can help you rise through the search rankings and convert that newfound traffic to sales. Will Dolphin is an SEO specialist at www.smart-traffic.com.au. He’s a bona fide tech geek with a strong marketing background. Will loves nothing more than seeing a search strategy develop into measurable success for online businesses.